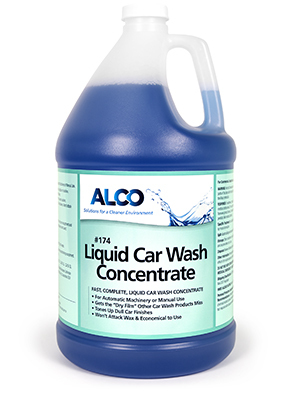 Alco Car Wash Concentrate - Alco-Chem, Inc.
For automatic machinery or manual use. A fast, complete liquid car wash concentrate that gets the "dry film" other car wash products miss. Tones up dull car finishes, won't attack wax. Economical to use.